Our Elephant Blanket will be Baby's best friend! 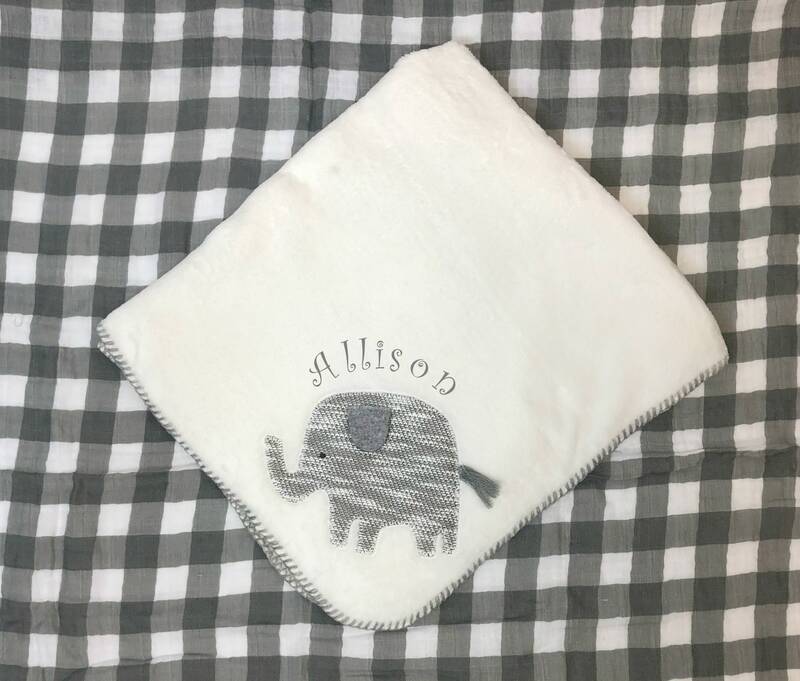 Cute and cuddly, the elephant is appliqued to the plush fleece blanket that has a grey blanket stitch around the edge. The tail and ear are different textures so Baby will love feeling them.